There are plenty of life events and emotions that can push us to consider retirement sooner rather than later. You might be struggling to find any enjoyment in your job; you may have experienced a recent change in circumstances, such as a diagnosis or the death of a partner; you might simply have a strong desire to do something different. However urgently you want to retire, the transition can be a scary prospect. You might be concerned that you don’t have enough to retire, or your financial situation won’t allow you to achieve everything you want to. Whether you need help phasing your way into retirement through part-time work, or you would rather tomorrow be your last working day, we create tangible retirement plans that act as step-by-step guides to achieving your aspirations. Discover what your objectives look like. Our first job is to get to know you, your situation, needs and objectives. We will discuss, in depth, what it is you want from life; we call this financial engineering, and it will drive our tailor-made recommendations and solutions. Establish your financial reality. 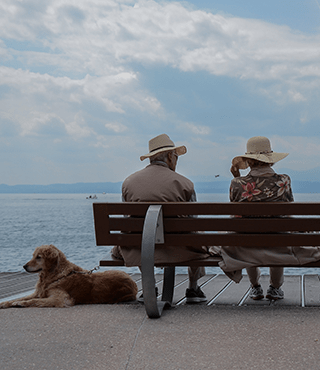 We will review your existing pensions, savings and investments, establishing the reality of your financial situation and what this means for your retirement plans. Whether you want to retire today or work part-time for a few years, we will show you what your existing capital means for your plans. You may well be able to retire sooner than you think. Support your children and grandchildren. If you’d like to help your family through financial gifts during your retirement, we can put a plan in place to make it a reality. Review your Inheritance Tax. We will review your Inheritance Tax liabilities and make any changes to ensure you can leave as much as possible to your family in the event of your death. Protect your spouse. We will put a plan in place to ensure your spouse will be financially stable in the event of your death.